Before I start reviewing this, although I'm going to try and keep this spoiler free, this is the fourth book in the Millennium series. So if you plan on reading those, this post might be one you should skip! In Sri Lanka, I managed to read through the Millennium trilogy (more commonly known as the Girl with the dragon tattoo series), and they were without a doubt my favourite books to have read in a long time. However, I was unsure as to whether I wanted to read this latest instalment because as Stieg Larsson died, the series has been continued by David Lagercrantz. I was very conscious that the writing style or storyline could have been 'ruined' for me, but when I saw it in Asda for £4, it just happened to return home with me. Blomkvist, a well known Swedish journalist, has been contacted by Professor Balder because he has been warned that his life is in danger. Although deemed an incompetent father by the courts, Balder has taken his autistic son from his Mother, and Balder believes the two of them are under threat and he wants Blomkvist to publish his story, of which obviously involves a female hacker. So Blomkvist turns to Lisbeth Salander for help, and realises that as usual, she is already involved within the drama. The two of them manage to work together, to keep Balder's son safe and solve the new mystery which avails.. This probably isn't my favourite out of the four books but it was definitely still a page turner, and one which you could read without really having read the others. You'd probably be confused by who is who, but the storyline itself is something you could work out. I say this, but I've read them all so I could be wrong! Also, the fact it wasn't written by Larsson himself made no difference whatsoever and I was really impressed by how Lagercrantz has managed to carry on the story. Overall, just go and read all four books. I promise you won't be disappointed! Sunglasses are definitely something I can always have more of, so when I was recently contacted by Firmoo and asked if I wanted to try their glasses, I thought why the hell not? 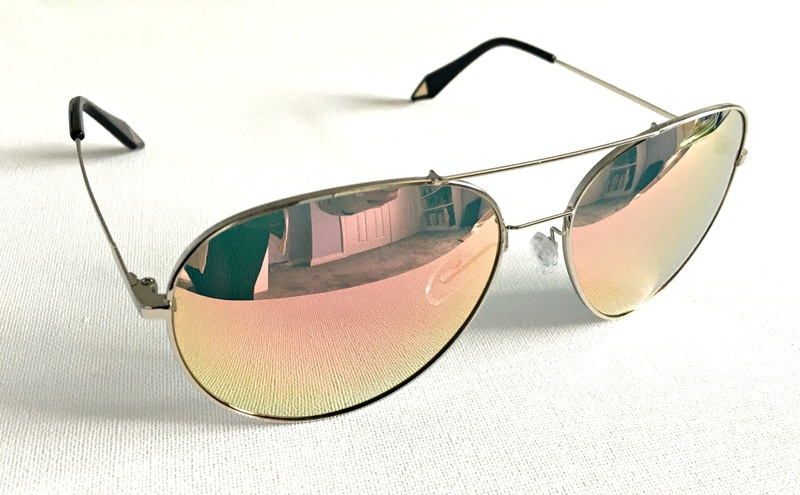 As I don't wear glasses, I went straight to their non-prescription sunglasses range and picked out these rose gold coloured aviator styled glasses, obviously. Firstly, the glasses arrived really promptly and are a really sturdy pair considering they are quite cheap in terms of sunglasses prices! 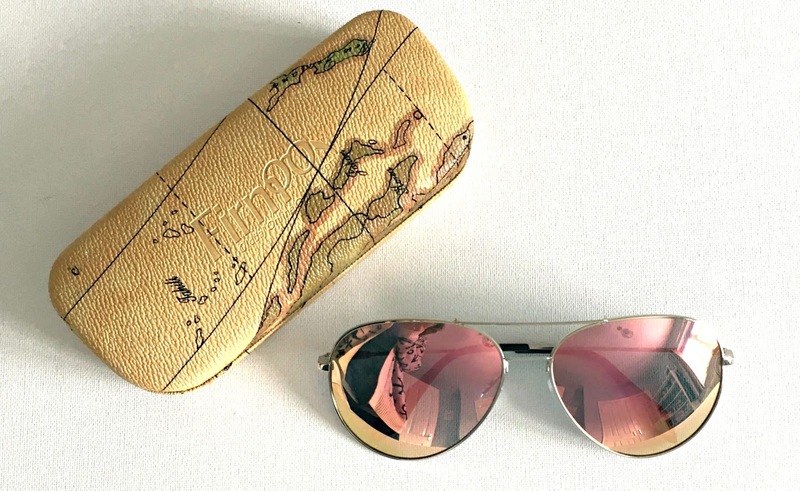 They even come in this really cute travel themed case, which I love. I love the rose gold coloured glass, the frames and the fact it's mirrored (although it's hard to then photograph them well #bloggerproblems) really does give it a nice look. However, it can't go without saying that these glasses are too big for me and they make my head look ridiculous. And, I guess that's the problem with buying glasses online.. you can't try them on and see if they suit your face. Firmoo does offer a 'try on' option which is really great. You can use your own photo and see what they would look like but for me, that's not the real thing and I still never really have a clue as to whether they'll look good in real life! Overall though, these sunglasses are really lovely and affordable so if you manage to pick a pair that suit your face, you're laughing! It's just a shame that these were too big for me. You know when you want to write about something, but you're not entire sure how to? Or you have an idea but really it's just rambling on.. It's been two weeks now since I returned from Sri Lanka, and I'd be lying if I said I was fine about it all. I'm one of those people who needs to be constantly doing something, whether that be working, a physical activity, writing.. I just need to be constantly entertained. So coming back home has been a huge shock to the system, especially as I essentially quit my life to go there. I left my job, I didn't restart any of the hobbies that I intended on doing once I'd finished University because I knew I'd be leaving, so I don't have anything to do now that I've returned. Every single day in Sri Lanka, I'd be extremely busy. There was never a spare or dull moment, and that's what I thrive off. Sure it's exhausting, but I know I wouldn't have it any other way. I also find it very strange that nothing has changed. I don't know why I find it odd either, because even though 3 months is a long time, I knew that nothing would change here in the UK. However, I guess I have changed. I've seen and experienced a whole array of new things. I've been challenged, I made new friends and I learned so much, whereas for those back home, everything is the same. Everyone is working the same jobs, living their lives in the same routine way.. and why wouldn't they? I do it too when I have an established routine. But what it feels like, is that I've been in a time warp for 3 months, and now I'm slotting back into something that feels like going backwards. It's a very, very strange feeling. 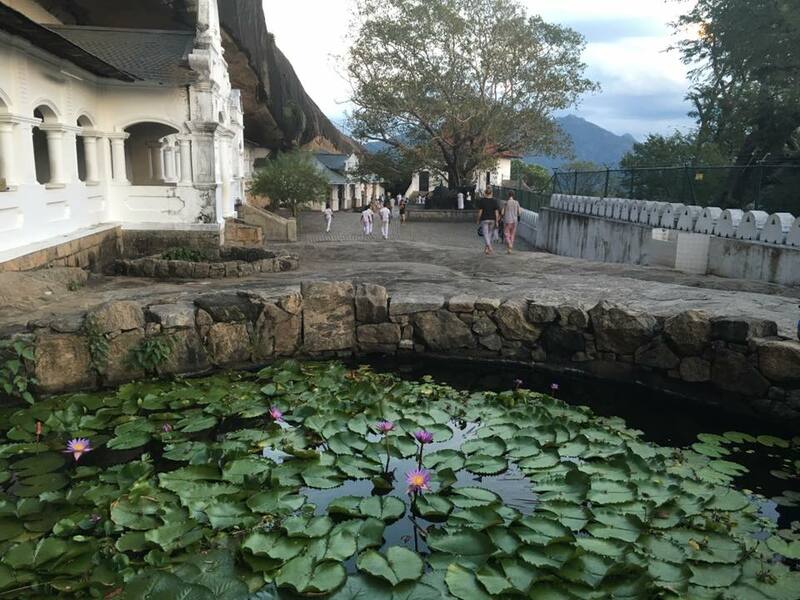 But, as I was leaving Sri Lanka, it occurred to me that those of us living in the Western world, have it extremely easy and we are very lucky. We live in an individualist society, one in which allows us to do what we want without really have to justify our actions. We can wear skinny jeans without worrying about who we are going to offend walking down the street. We can stay out until 3am and no one would think anything of it. As adults, we can travel the world and we don't have to get permission from our parents. We are pretty much free to eat, wear, study, work, travel and have relationships with whoever we want. And you know what? Not everyone has that freedom, and it's something I regularly forget. I may dislike the chilly, spring weather; the fact I'm pretty bored and waiting for some decisions to be made that are out of my hands (I'll blog about this another time, if things go my way); but what I should remind myself is that I'm free to do what I want right now. And actually, I'm very grateful to live and belong to a country and family which allows freedom. It's something we shouldn't take for granted. 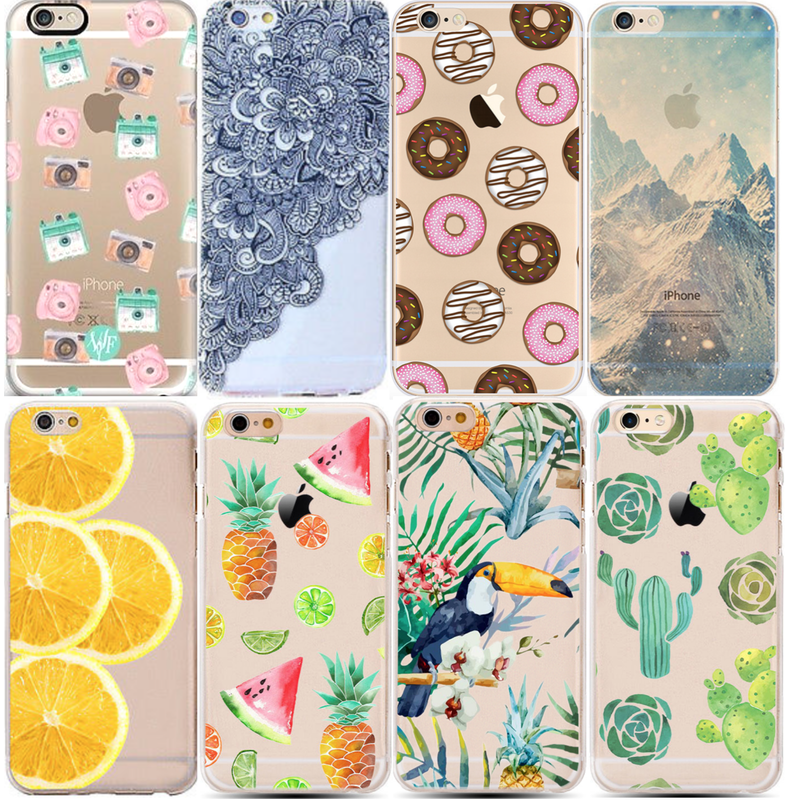 I don't know about you, but I definitely have an obsession with beautiful phone cases. And obviously, I have an expensive taste so love the Casetify, Rifle Paper co and Skinny Dip London cases the most, but I'm not sure I can justify £15+ every time I want a new one.. which y'know, happens to be every 5 minutes! I'm actually amazed at how little I spent when I was in Sri Lanka. So much so, that I am kind of upset by how expensive everything in the UK is! £3.20 for a meal deal?! I've been spending 50p maximum on lunch, for the past 3 months.. However, I also realised that it's very easy to be conned into paying more than you should, even if it's already cheap. The locals can take one look at a Westerner and bump up the price of anything, knowing full well that if we are naive, we will pay it regardless. And you know, that's fine if you have money to splash, but when you're a traveller, you're looking to save as much as you can so you can fit more adventures in. So here's some little tips for future travellers..
1. Eat local food. £5-£10 for a western meal, compared to £1 for a local meal. No brainer, right? Ok, so sometimes you will want pasta or chips, and I'm not saying never eat those things. But for the majority of the time, it's so much cheaper to eat what the locals eat and chances are, it's going to taste so much better! It's not been imported and you're experiencing their culture a hell of a lot more by doing so. 2. Take public transport. I can only speak for Sri Lanka here, but public transport is definitely not a luxurious experience. However, it is FAR cheaper that taking a taxi everywhere. Public buses and trains are the way to go if you want to save money getting around. 3. Consider a travel card. If you're spending a good amount of time out of the country, then you are going to need to withdraw cash. I have a travel credit card from Halifax, which is really good for paying for things (not withdrawing cash!) but there are travel credit cards which are designed specifically for withdrawing money at ATM's, free of charge. Just make sure you know exactly what the card does before you go for it! The educational website, Credit Card Insider has a travel credit cards page that helps people to understand what travel credit card is right for them! 4. Stay in hostels. Do you really need a five star hotel, with bed and breakfast and a swimming pool? Hostels are basic, providing a bed, shower and sometimes breakfast, but what more do you really need? 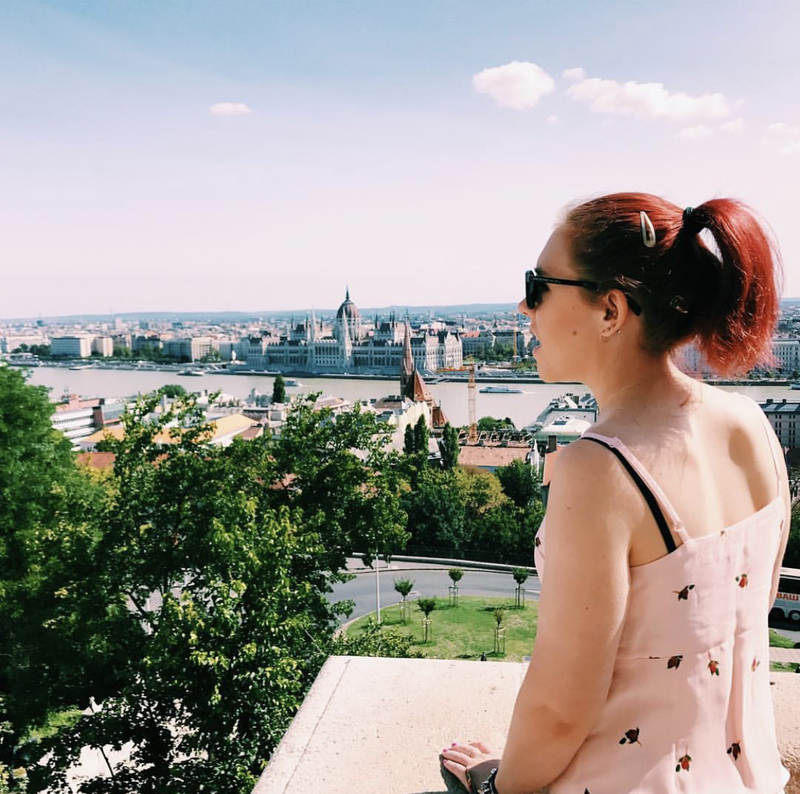 I used websites like hostelworld and managed to find places to stay for as little as £3 a night! My advice would be to ring up though, rather than booking online, because then you can explain that you are a student/volunteer, and you're more likely to get a discount. 5. Haggle! Something that doesn't really come naturally to us westerners, but you really should haggle when you're in Asia. And it can actually be kind of fun! Decide on a price you're willing to pay, and start lower than that. Sometimes pretending to walk away does the trick, as it's highly likely that you'll get called back for the sale! 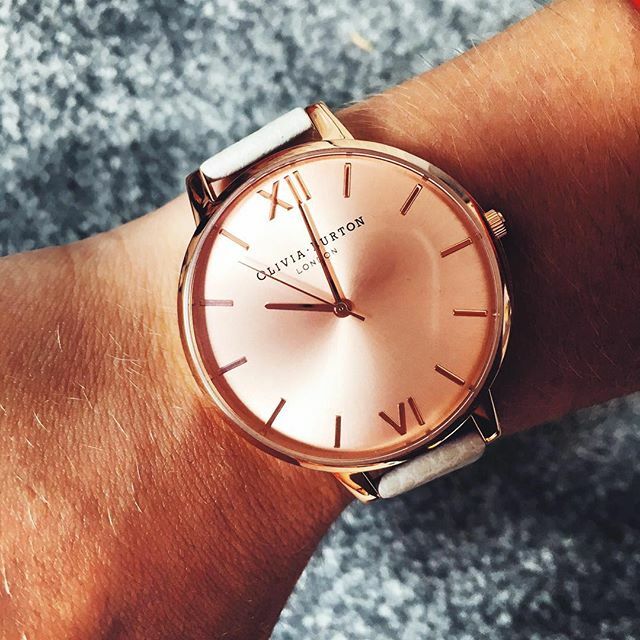 I am in love with my new Oliva Burton watch. It's beauuuuutiful. Jet lag is a real thing. I thought I knew what jet lag was and I thought it was something you could easily overcome, but falling asleep in the afternoon and waking at 4am in the morning, has been a thing. England is cold and expensive. We actually moan A LOT in the UK. We are a nation full of complainers, and I want to try and be more positive now that I'm home. My hair looks so much better when it's been cut, coloured and styled. I need to make an effort more often. I need to use my phone less. I've been surgically attached to my phone since I returned, and I've pretty much not used it for the past 12 weeks. I really don't need to be on it all of the time. Doing things for myself that don't involve working or a screen, such as reading, running, scrapbooking or musical theatre, should be something I make more time for. 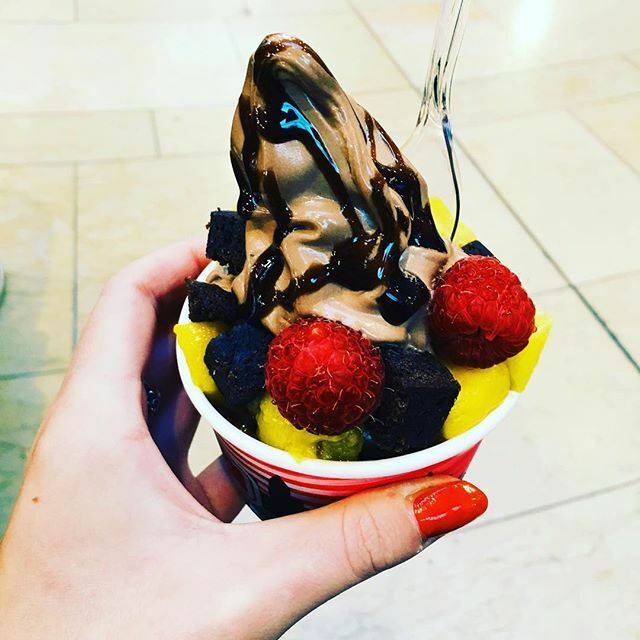 Why don't I eat ice cream more often? It tastes amazing. I miss Sri Lanka already. Although I've been away for 3 months, one thing I do try to continue doing, is reading. I definitely haven't read as fast as usual, but I've still managed to read quite a few books in Sri Lanka. And here's what they were..
Ove is a grumpy, old man who appears to be surrounded by a neighbourhood of idiots. Each one of them annoy Ove, and persistently make his life even more miserable. However, the book is a journey for Ove, and it really does teach you that what you see isn't always what you get. Not going to lie, although this is an easy, sweet read, I thought it was very slow and a little bit boring! Emma is a confident, popular and beautiful 18 year old girl. Everyone knows who she is and she is always the life and soul of the party. However, after one party she wakes up on her porch with no recollection of what happened the night before. It isn't until explicit pictures of her are posted all over Facebook that she realises she's been involved in something really serious. This is definitely one of my favourite books this year! Louise O'Neill is an absolutely beautiful writer and keeps you gripped throughout. This book is the story of a sheperd boy named Santiago, who travels from Spain to the Egyptian pyramids in search of hidden treasure. Along the way, he faces a number of challenges and the book inevitably turns into a story about human destiny, the power of our dreams and the importance of listening to and following our hearts. I'm so late to this best selling book, it's embarrassing.. but this is definitely a beautiful book! A lovely, easy read! One that kept me hooked from start the finish. I'm not even going to explain the plot because this trilogy is SO long. However, I literally couldn't put these books down so if you haven't read these books, this is one series I'd 100% recommend. At 8am this morning, I stepped off the plane at the same airport I'd departed from just 3 months ago. It's safe to say that I'm now absolutely freezing again, but it was so nice to be greeted by some of my family members. 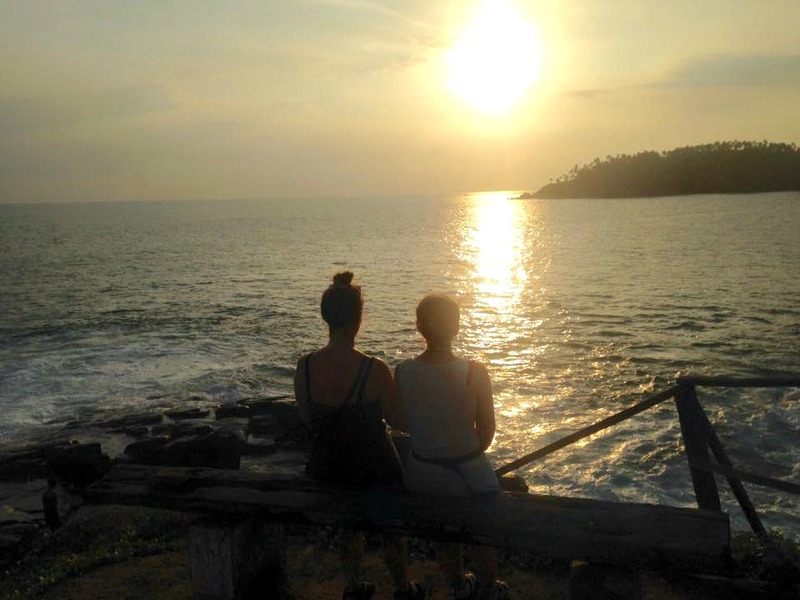 Saying goodbye to Sri Lanka has actually been extremely hard. I thought I was ready to come home last week, but on Thursday it hit me that I have been so happy there, and saying goodbye to the people who have made my experience so amazing, was so, so difficult. I genuinely haven't cried as much as I have this week, in years! And you know what? It seems crazy to think that just 12 weeks ago, I was setting foot is onto a plane, not really knowing where I was going or who I'd be meeting. When people asked where I'd be living, my reply would be 'Colombo somewhere, maybe..' which is pretty horrifying to some, but I wasn't phased by my lack of awareness. 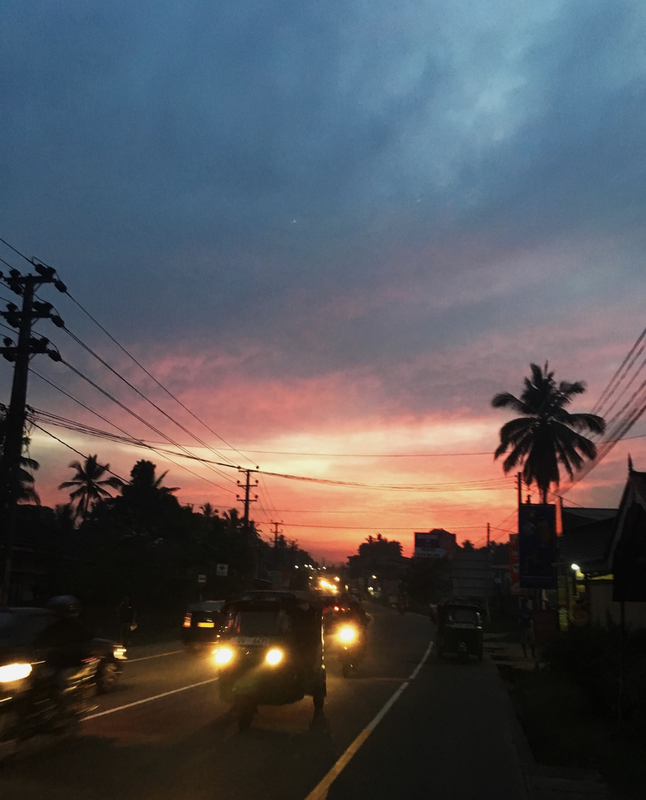 When I arrived, I was thrown into my new home and soon became settled in with my new Sri Lankan family - both my host mother and her daughter, and the other volunteers. And within a week, those so called strangers really were family. As the weeks went by, I've been able to see and work on teaching, special needs, occupational therapy and mental health projects. I begun to pick up little bits of Sinhala, with every piece of creative therapy piece being 'Lassinai' and every correct answer being 'hondai'. The heat remained unbearable, but I'd take the beautiful sunshine over snow any day, especially when I've been able to witness to breathtakingly beautiful sunsets. I have travelled a fair bit of the country too, from Jaffna to Hikkaduwa, mountains to beach. I've discovered new foods, and built up a high tolerance for spicy food. But, I'm also aware that if something is too spicy, there is always something sweet lurking around the corner. I've learnt about Buddhism and Hinduism, discovered that coconut oil is the best moisturiser there is, and now understand why the Sri Lankans dislike wearing Saree's - as beautiful as they are, they are also tight and uncomfortable! But most of all, I now know that I have a passion for people. We are all human beings, with thoughts and feelings. I can't say that is has been life changing because that would be a lie. I'm going to go home and nothing will have changed. I'll go back to painting my nails, taking hot showers and eating nut butter daily because that's something I've ridiculously missed. But what has changed is that I now have a real sense of direction, and that's not just from navigating the buses around Sri Lanka. I know for sure that I want to help people. Just because we don't all have the same living conditions, morals or beliefs, we all deserve to receive help when it's needed. And that is what I want to do with my life - help those who are vulnerable, especially those in psychological turmoil. I don't want them to merely survive in this world, I want them to thrive. So, ayubowan Sri Lanka. You'll always have a place in my heart. The final weekend has actually been a longish weekend, because it wasn't organised by me, but rather the company I am volunteering for. It just so happened that this weekend has been a National Youth Camp in Sigiriya (the first one for 30 years), and we were invited along as international guests. The camp was for 5000 youths, so I can't say I'll have that opportunity again! On Wednesday, we spent the whole day travelling from Colombo to Sigirya, and arrived to the opening ceremony of the youth camp. It did remind me a little bit of the hunger games because each town here was set up in it's own district. They'd all designed amazing art work for their camp site too, which was so cool to see. Our tent was the luxury area, but it was still a baking hot tent with a matt for the week. The showers were communal and we did have festival toilets (unlike the rest of the youths who had squat toilets), so it was a very basic weekend. However, it was a brilliant weekend! On Thursday, we took part in some community activities - restoring schools and hospitals. 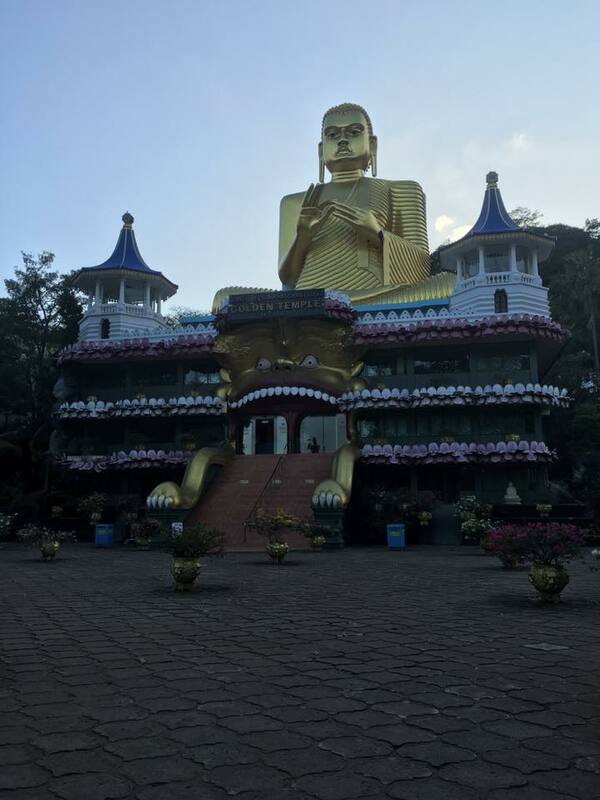 And then in the afternoon, we visited Dambulla cave temples. This was probably my favourite temple yet because once we reached the top, the sky was truly magnificent. I've never seen a more beautiful sky in my life. 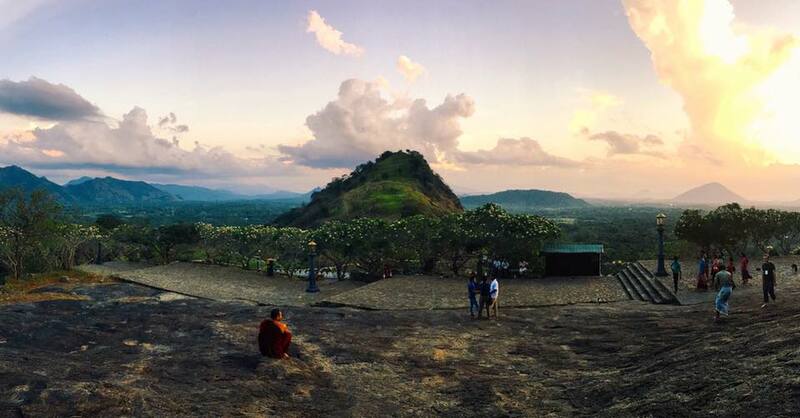 On Friday, we were able to climb Sigiriya rock which was another hot and sweaty hike! At the top of the rock is what resembles an ancient kingdom, with space for a mansion, swimming pool and garden. Still to this day, Sri Lankan's are unable to fully explain how this was built or got there. Then, in the afternoon, we all went back to the camp and took part in a tug of war competition, which was the most fun I've had in ages. My team lost but I've not laughed so much in ages! Then, Saturday was a day for just wandering around the camp and the closing ceremony in the afternoon. Both the Prime Minister and the President of Sri Lanka were there, and it was a really huge event. It was so nice to see how much effort the Sri Lankan government put into helping the youths of the country. And finally, Sunday we returned back to our home stays for the final week of work. I will reflect more about this experience when I'm home, so that really does conclude the final post card from Sri Lanka!